Do you have small children in your family? Does your family have a pet that goes outdoors? Do you have a large family or multiple pets? If you have small children, a smoker or a pet in your home, you really should clean your carpets bi-annually, or twice a year. If you have a large family, multiple smokers, or multiple pets, it is optimal for you to clean your carpets with every changing season, or four times a year. While that may seem like a lot, it’s amazing how much dust, dirt, and other debris we track into our homes on a daily basis. Bacteria, mold spores, dust mites, and other potential allergens become trapped in the fibers of your carpets. They not only affect the carpeting, but they affect the air quality in your home as well. 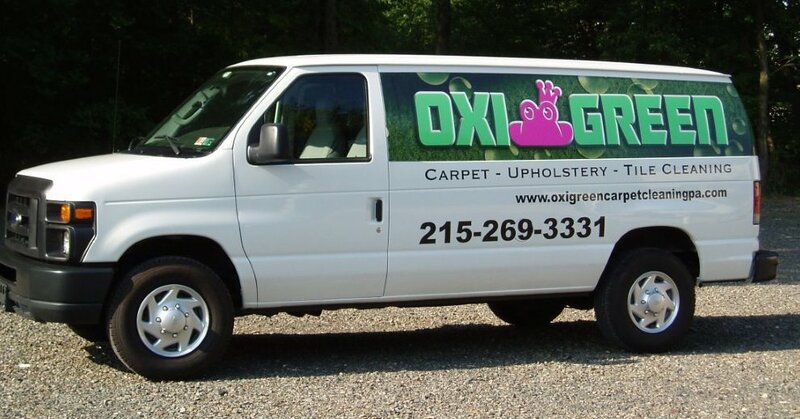 Decide today to do your family and your carpeting a great service by calling OxiGreen in Bensalem, PA at 215-269-3331 for a deep, long lasting carpet cleaning! OxiGreen is proud to offer all of our commercial and residential customers a 100% green carpet cleaning! All the cleaning agents we use are eco-friendly and biodegradable, safe for the environment and your family. All of our carpet cleaning technicians are certified by the IICRC, the Institute of Inspection, Cleaning and Restoration Certification, which trains and monitors carpet cleaning technicians throughout the United States. We know what we’re doing! OxiGreen also offers a 100% satisfaction guarantee, and is available for other services, including carpet stretching, expert carpet repair, and tile and grout cleaning. Call us today!